LOS ANGELES -- Toyota, Honda, and General Motors have confirmed they plan to integrate Siri, Apple Inc.'s voice control technology used on the iPhone, into connectivity systems of upcoming vehicles. Spokespersons from the three companies confirmed the plans to Automotive News on Monday after announcements made by Apple at its Worldwide Developers Conference in San Francisco. Audi also is exploring possible use of the technology, but has no "solid plans" to integrate it so far, a spokesman said on Tuesday. Apple executives said four other automakers -- Chrysler, Mercedes, BMW, and Jaguar/Land Rover -- have agreed to use Siri in their entertainment systems, according to a report on Yahoo! Autos. In essence, vehicles compatible with the Siri service will allow drivers to make calls, dictate text messages, look up directions and use other Siri functions by plugging their iPhone into a USB cable in the car. 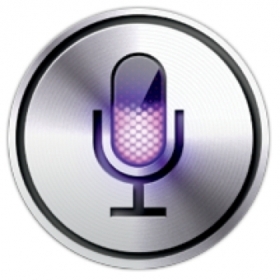 Pressing a button on the steering wheel will activate Siri, and drivers can speak commands to their phone hands-free. A new Siri feature, called "Eyes Free," will help drivers use their iPhones while keeping their eyes on the road by allowing iPhone owners to control more of the device's functions with Siri with the screen off to mitigate distracted driving. The Eyes Free feature will be released as part of Apple's latest version of its mobile operating software due out this fall. "A number of auto manufacturers have committed to delivering Eyes Free Siri integration in the next 12 months," Scott Forstall, Apple's senior vice president of iOS software, said during a keynote speech at the conference as a screen behind him showed the logos of GM, Toyota, Honda, Chrysler, Honda, BMW, Jaguar, Land Rover, Mercedes Benz and Audi. The move is a feet-first leap by Apple into the auto industry. It also suggests that the industry is beginning to recognize that personal device makers -- in this case, Apple -- are best-equipped to provide consumers with the connectivity and info-on-demand they want. Automakers may be best-served to focus on making it easy and safe to access those devices in the car. GM has been an early adopter, confirming it will offer such a system on a specific vehicle. The MyLink infotainment system offered on the 2013 Chevrolet Spark and Sonic small cars will be compatible with Siri, GM spokesman Scott Fosgard said. The vehicles go on sale later this year. Toyota spokeswoman Carly Schaffner said Toyota was working with Apple, but declined to discuss when Siri compatibility may come to Toyota vehicles. "Apple and Toyota are exploring the potential to introduce the Siri Eyes Free Mode interface into Toyota, Lexus, or Scion vehicles," Schaffner said in an e-mail. "As the SEFM is a widely used and highly accurate voice recognition system, we believe it would contribute to safer and more comfortable usage of vehicles for customers." American Honda spokesman Alicia Jones said that the new Siri Eyes Free feature would be "extensively applied" to coming Honda and Acura vehicles. Jones declined to say when Honda planned to launch the technology, but said Honda would announce more about it by the end of the year. "We think smartphones have become so integral to people's lives that they're using them in their vehicles and the challenge is to enable the benefits of these devices without contributing to visual or manual driver distraction," Jones said. Christina Rogers contributed to this report.